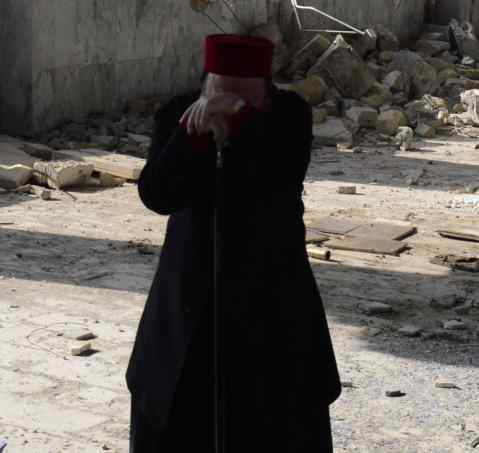 Archbishop Nicodemus Daoud Sharaf inspects completely vandalized St. Afrem Cathedral in Mosul. When in 2014 the by the Western colonial powers created, trained and armed ISIS/ISIL terrorists (here, here and here) entered Mosul, the Arameans (fake: “Assyrians”) and other “undesired ones” at the very last moment could escape the city. Their homes and properties were confiscated by ISIS/ISIL terrorists. 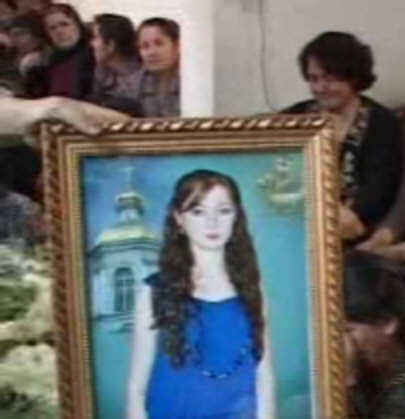 The Aramean churches were vandalized, blown up, desecrated and used as place of shelter by the terrorists. Following the invasion of Mosul, the Aramean cities/villages in de plain of Nineveh were invaded as well through which the Arameans and others were forced to flee to more safe areas in the northern Iraq. After partial liberation of Mosul by Iraqi army, on 5th of February 2017 the Aramean archbishops of Mosul Mgr. 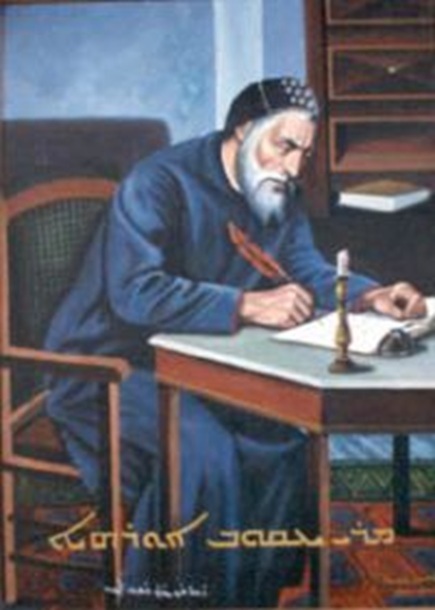 Nicodemus Daoud Sharaf and Mgr. 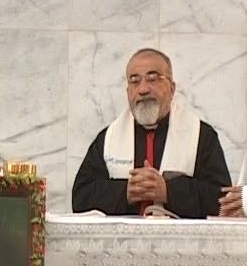 Mousa al Shamhani of St. Matta Monastery visited the Aramean cathedral of Mosul. He was shocked to see that the Cathedral was heavily damaged. 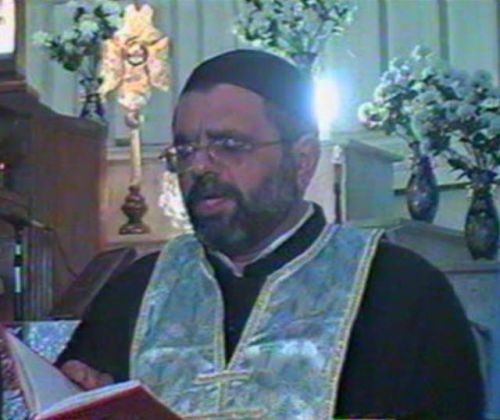 Therefore bishop Sharaf could not control his emotions and burst into tears about the Cathedral of St. Afrem. The tears of Mgr. Nicodemus Sharaf tell also something about the downfall of Aramean Christianity in Iraq. Before liberation (= destruction) of Iraq by the Americans in 2003, there were about 800.000 Arameans divided over 6 denomination. Before the arrival of Americans in Iraq there was no such thing as “Al Qaeda” or other Islamic terrorist group. The terrorism took root in Iraq after so-called “liberation” of the country by Americans and their allies. Mgr. 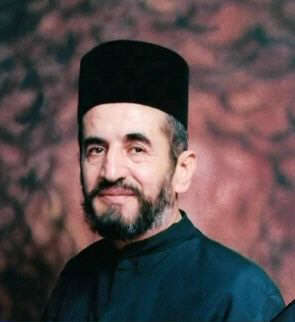 Nicodemus Daoud Sharaf could not control his emotions and cried about the devastation of Cathedral. Under the watchful eyes of the invading powers, the Arameans of Iraq were threatened, harassed, kidnapped, killed, their homes, properties and lands confiscated, their churches blown up and burned down, their clergy abducted and killed. 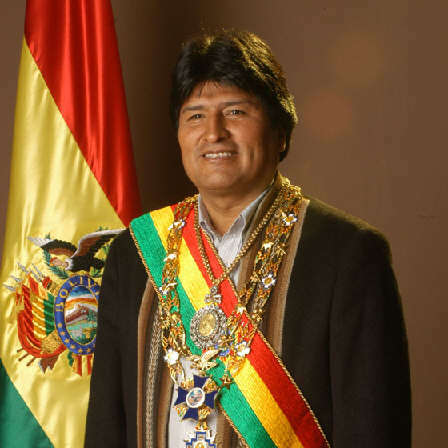 This has resulted in that the major part of our people in Iraq were forced to leave behind the indigenous lands of their forefathers, they have been inhabiting for thousands of years, and fled to the Western countries. Beside Mgr. Nicodemus Daoud Sharaf, there are also some sincere Western Christians expressing their concerns regarding the Aramean (fake “Assyrian”) Christians in Iraq. 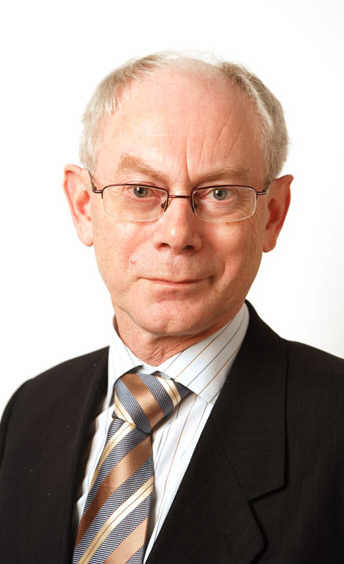 In 2014 Mr. White left Iraq for security reasons. This is the result, beloved reader, of the unholy activities of the colonial Western illuminati powers to cause all over the world chaos, bloodbaths, misery and mass immigrations for the establishment of the unholy kingdom of antichrist, the new world order. The majority of Western Christianity has been unfortunately taken over by the illuminati Satanists (here, here, here, here, here).Therefore one should not expect large-scale help. That explains also the quietness of the Western church regarding what is happening in the Middle-East. The extermination and disappearance of the Aramean Christianity of Iraq is exclusively caused by the objectionable, division promoting, hate generating and spiritual fornication of the apostate occult Arameans, who wo identify themselves “Assyrians”, with their Western colonial illuminati masters. Their masters use them as a tool to divide and exterminate the Aramean indigenous nation. They welcomed their masters Bush and Blair to please come to Iraq to liberate them from that “ruthless dictator” Saddam Hussein (here, here). Result of this fornication: unprecedented bloodbaths, slaughtering, chaos, stream of refugees, burning down/ destruction of churches/ mosques, ethnic cleansing, poisoning with depleted uranium and extermination of life. From the beginning we warned about the spiritual fornication of the “Assyrian” terrorists and that this fornication would finally result in the downfall of the Aramean people. Unfortunately this has become reality if we look at what is happening to our people in Iraq and Syria. 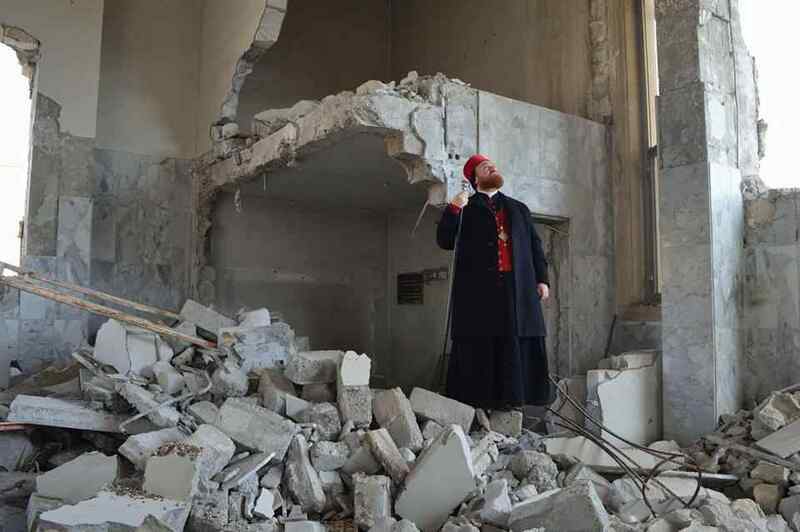 “the West needs to wake up to the threat of Islamism.....?” Archbishop Sharaf does not understand anything of the satanic demonic plot against the Aramean nation which is still going on. But of course the West knows very well who the Islamists are, because they are the by the West created, trained and armed killing machines. Everywhere in de world they are being used by the West to wreak havoc, destabilise countries and create chaos to bring about change of regime as preparation for the coming kingdom of antichrist, the new world order (NWO). The ISIS/ISIL terrorists could only enter Mosul and the plain of Nineveh thanks to the approval and support of Americans. The Kurds would never have done this on their own, they were ordered to do so! There was a clear criminal plan behind the expelling of the Arameans from Mosul and plain of Nineveh. Behind the scenes, the Americans guided the invasion of Mosul and the Aramean bishop Sharaf is asking Americans for help to return to Mosul? It is the same if you would ask a fox to please come and guard de henhouse. They all know, including the former Iraqi prime minister and current vice-president Nouri Al Mailiki, who the masters and creators are of the ISIL/ISIS terrorists. According to Maliki, the reason behind the invasion of Mosul in 2014 was a punishment for the Iraqi policy regarding Syria. West- Aramean Syrian Maronite Patriarch Beshara Rai visits Nicolas Sarkozy on 5th of September 2011 in Paris in Elysee Palace. The plan to clean the Middle-east of the Christian Arameans (fake: “Assyrians”) is not new! The number of “2 million” is exaggerated, there were originally not so much! In addition, not all of them have emigrated to the West. What we try to clarify here is that there is since long time a plan in operation to dispose the Middel-East of the Aramean and other Christians. 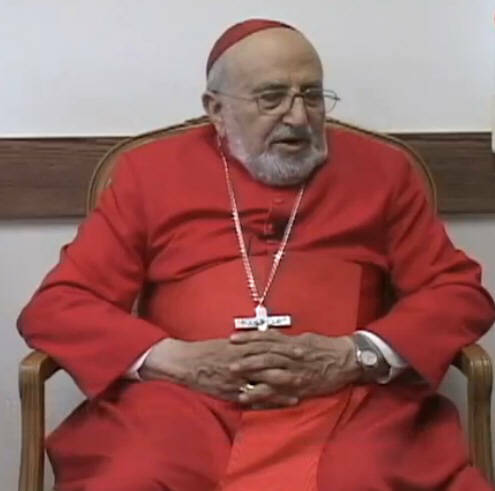 The East- Aramean Patriarch Raphael Louis Sako of the Chaldean Church of Babylon stated on 3rd of July 2017 that: “The most painful issue that has hit the Iraqi Christian communities in recent years was their mass escape from Mosul and Nineveh Plain, when entire villages were evacuated one night before the advance of the Jihadist militia of the self-proclaimed Islamic State (Daesh), and many family groups "were encouraged by Western Countries to emigrate." That “encouragement to emigrate” was to execute the criminal demonic plan that has been on the table for a long time. 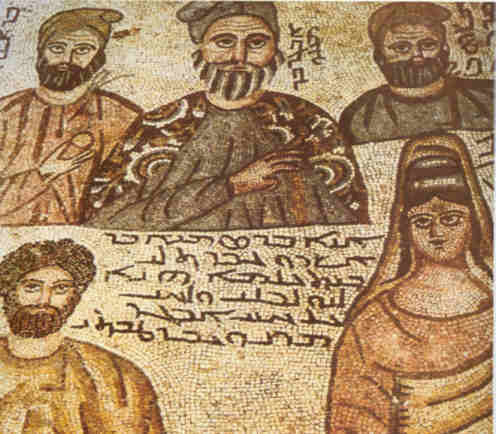 These are the bad fruits of the spiritual fornication of the occult Aramean who call themselves “Assyrians”, the spiritual children of Nimrod and Samiramis, the whore of Babylon (here, here). They committed fornication with their colonial illuminati Western masters and creators to topple the regime of Saddam Hussein and bring so-called “democracy and human rights” to Iraq. And the result is just horrible! There is however also a spiritual dimension playing here important role (here, here). There is really a reason why the Aramean people since centuries is being persecuted, terrorized, killed, expelled and ethnically cleansed. All these horrors do not happen without reason, including the recent confiscation of 50 Aramean churches, monasteries and graveyards in Turkey. The liberation of Mosul have devastated the city. Much work have to be done before people can return to Mosul. Hopefully the government of Premier Al Abadi shall improve the security in Mosul and surrounding areas so that the displaced people, where possible, can return to the city. Also, we hope that Al Abadi will keep his word to create conditions so that the Arameans can return to Mosul including those who had to flee to foreign countries. Despite uncertainty and safety risks, some Aramean families dare to take a chance and return to their cities in de plain of Nineveh. This is a hopeful sign. The Aramean city Baghdeda is also known as “Qaraqosh” and “al Hamdaniya.” The city was inhabited by 50.000 Aramean, particularly Aramean Syrian Catholics. 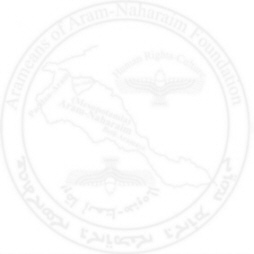 The online misinformation and fake news website “Wikipedia” designates unfortunately the Aramean inhabitants of Baghdeda/ Qaraqosh/ al- Hamdaniya as “Assyrians.” This Arameaophobia is done with purpose to misguide the reader. Wikipedia has unfortunately become “Wickedpedia” if we look at the fake information it spreads regarding the Aramean nation. Hopefully the security will improve so that more Arameans will return to their homes in de plain of Nineveh. This may motivate the Arameans who fled to the West to return to their cities, villages in their ancestral lands as well. 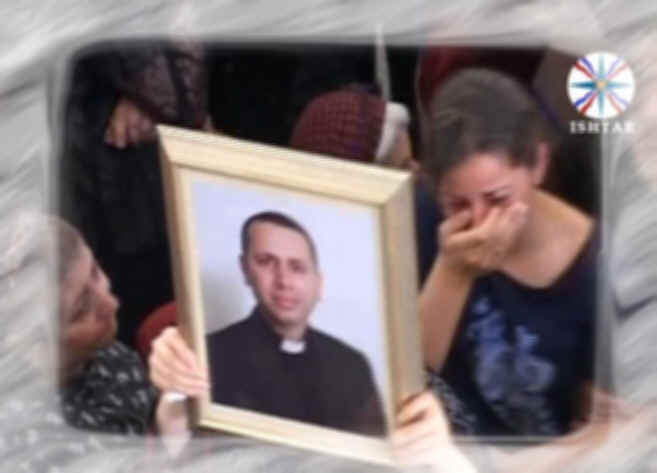 We go back to the tears of bishop Sharaf. The tears of Mgr. Nicodemus Sharaf are not only for the destruction of the Aramean Cathedral of Mosul but for whole Iraq where the country is devastated by the colonial Western powers. The destruction of Iraq was carried out in agreement with the criminal demonic plan, concocted in the demented laboratories of the Western colonial powers. 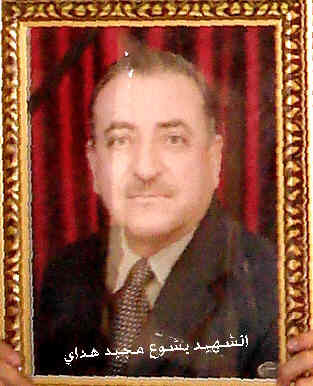 The apostate Arameans who identify themselves as “Assyrians” have carried out the role, assigned to them, with happiness in the realisation of the downfall of Iraq.